Many Washington residents, including some birders, limit their driving by necessity or by choice. Can birding still be viable without driving? Yes, if you use public transportation! The best birding sites in the District are close to Metro stations or bus routes. Birding by Metro offers great opportunities for finding birds. In the process, you can get more exercise, see more of the District, and reduce your impact on the environment. • Check the fares and schedules in advance. Buses require exact change or a SmarTrip card. • Map unfamiliar locations before visiting. • Be safe. Take a friend for birding in unfamiliar areas, and watch for traffic at busy intersections. • Travel by Metro may take longer than travel by car, so plan accordingly. • Bus routes listed here connect with many other bus lines, in addition to Metro stations. The Southwest Waterfront provides views of waterbirds in winter. Directions: Walk two blocks west from the Waterfront/SEU station along M Street to Water Street, and then follow Water Street along the docks. At Poplar Point, look for waterbirds on the Anacostia River in winter. Willow Flycatchers, orioles, and Wild Turkeys breed here in summer. Directions: From the Anacostia station, follow Howard Road into the park. Theodore Roosevelt Island has tidal marsh and forest habitats. Check the marsh for Wood Ducks, and the wooded swamp for sparrows and Pileated Woodpeckers. Prothonotary and Yellow-throated Warblers visit in the spring. Directions: Walk from the Rosslyn station towards the Key Bridge. Just after crossing Washington Parkway, turn right onto the bicycle path and walk to a parking lot. The island is accessible from a footbridge. Hains Point and the Tidal Basin are best in winter. Migrant waterfowl and gulls, including uncommon species, gather in large numbers. Check the golf course for shorebirds and raptors. Directions: From the Independence Avenue exit of the Smithsonian station, walk west on Independence and south along 15th Street to the Tidal Basin. A public footpath surrounds the Hains Point Golf Course. Constitution Gardens is adjacent to the World War II Memorial. In winter and early spring, look for ducks on the lake. In late spring, check the trees for warblers and the shrubs for sparrows. Directions: Use the Smithsonian station’s Mall exit. Walk across the grounds of the Washington Monument, cross 17th Street NW, and turn right to enter the gardens. Kenilworth Park has playing fields and meadows that host open-country birds in all seasons and shorebirds at high tide in late summer. Raptors frequent the park in winter. Look for Bobolinks in May. Directions: Use the west exit at the Minnesota Avenue station and cross Kenilworth Avenue via a pedestrian bridge. Walk one block west to Kenilworth Terrace, and then two blocks north to the park entrance. Kenilworth Aquatic Gardens attracts herons and shorebirds to its marsh and display ponds. Check along the boardwalk and the river trail for sparrows in fall migration. Many songbirds breed along the river trail. Directions: Walking west from the Deanwood station, use the pedestrian overpass to cross Kenilworth Avenue, then walk west along Douglass Street and north along Anacostia Avenue to reach the gardens. 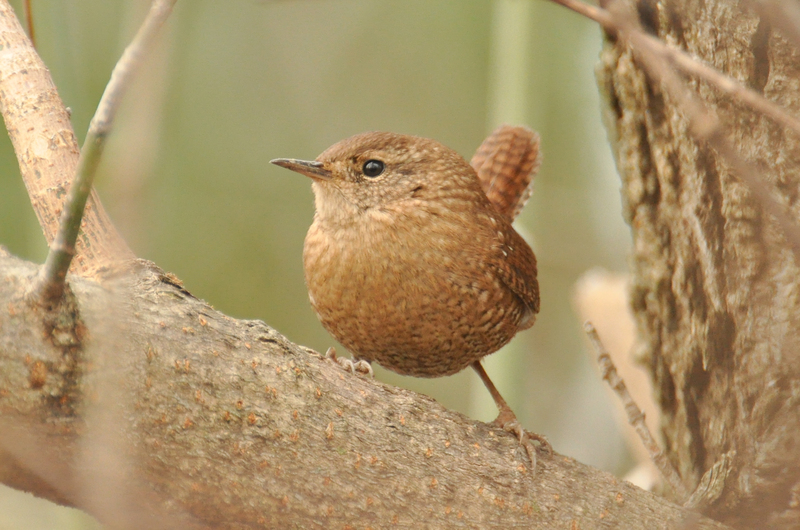 The National Zoo hosts migrant songbirds in spring and waterfowl in winter. Wild Black-crowned Night Herons and Red-shouldered Hawks nest at the Bird House. Check the creek for Wood Ducks. Directions: From the Woodley Park/Zoo station, walk north along Connecticut Avenue to the Zoo entrance. Rock Creek Park is a classic migrant trap. The best birding areas are located near the Nature Center, at the Maintenance Yard and Picnic Areas 17/18. 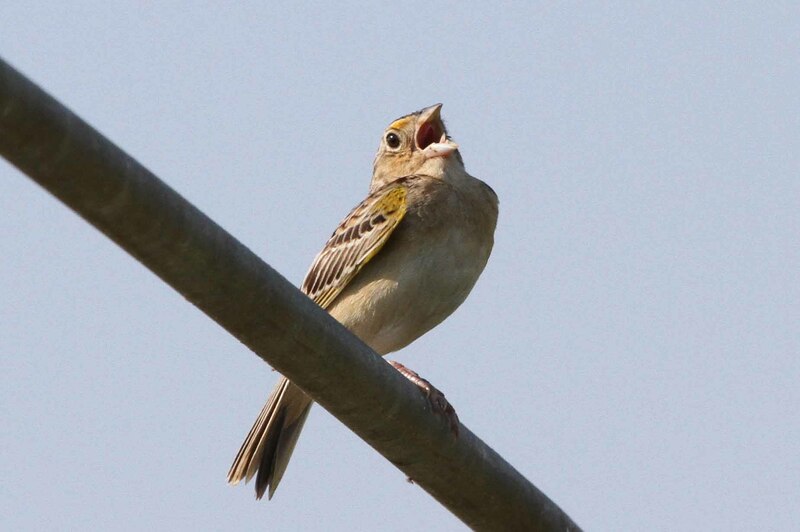 Look for migrating songbirds in May and September. On a good day, you may see over 20 warbler species. Some birds stay to breed in the summer. Directions: Take the E2 to the corner of Military Road and Glover Road, near the Nature Center. The E2 connects to the Red Line at Friendship Heights and Fort Totten. Georgetown Reservoir hosts waterfowl and gulls during winter. Directions: The D6 stops at the reservoir on MacArthur Boulevard. The D6 connects to the Red Line at Dupont Circle. Fletcher’s Boathouse has nesting orioles, warblers, and vireos. From here, you can walk a mile west along the C&O Canal towpath to the Chain Bridge, which is a good spot for waterbirds and raptors. Directions: Take the D6 to the intersection of MacArthur Boulevard and Reservoir Road. Walk down Reservoir Road and carefully cross Canal Road to the entrance drive for the boathouse. Glover-Archbold Park is another migrant trap. During spring and fall migration, look for warblers and thrushes, including Veeries that breed in the park. Directions: Take the D6 to the entrance of the park on Reservoir Road, near the French Embassy. 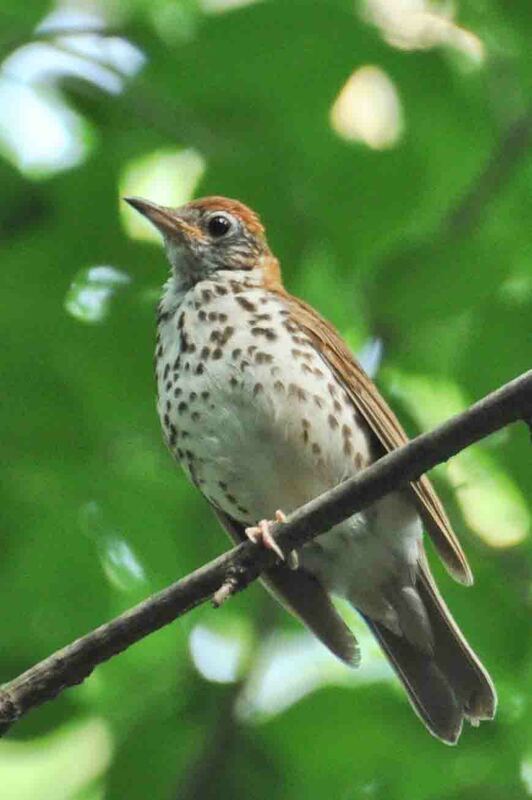 The National Arboretum attracts migrant songbirds in spring and fall; look for thrushes in the Azalea Gardens. Check pine groves for Pine Warblers, Red-breasted Nuthatches, and owls in winter. Directions: Take the B2 to R Street and Bladensburg Road and walk two blocks east on R Street. The B2 connects with the Blue and Orange Lines at Stadium-Armory. Fort Dupont consists of upland forest, with some edge and scrubby areas. Look for breeding songbirds and Wild Turkeys. Directions: The V8 bus stops at the park entrance on Minnesota Avenue. The V8 connects to the Orange Line at Minnesota Avenue and to the Blue and Orange Lines at Potomac Avenue. Fares and schedules for the routes mentioned here can be found at http://www.wmata.com. The WMATA website also provides door-to-door directions. Download the printable Birding By Metro brochure.